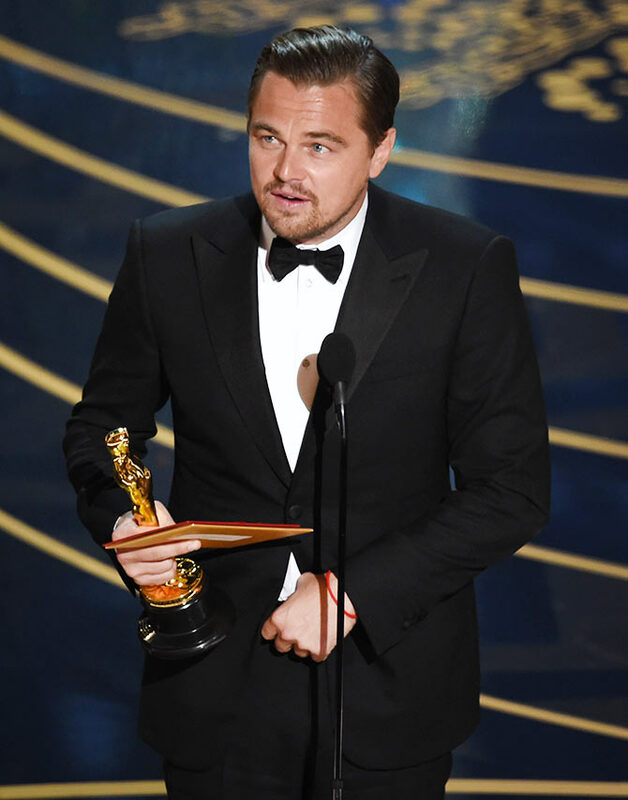 Earnest words from Leonardo DiCaprio, and the big winners of Oscar night. 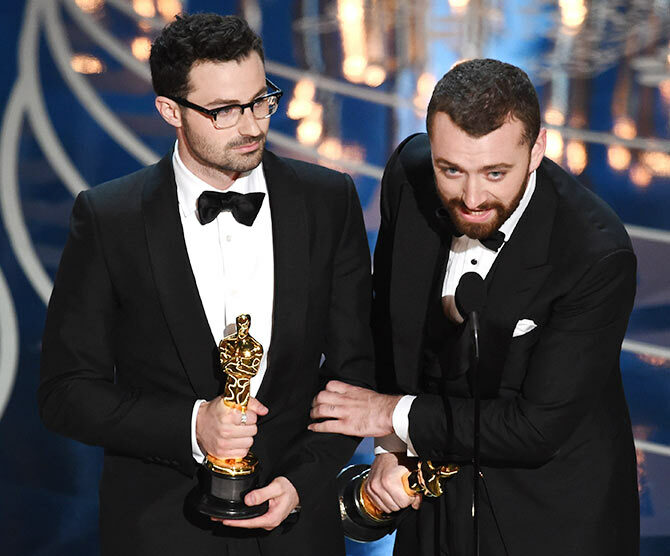 The 88th Annual Academy Awards had a lot of surprises. 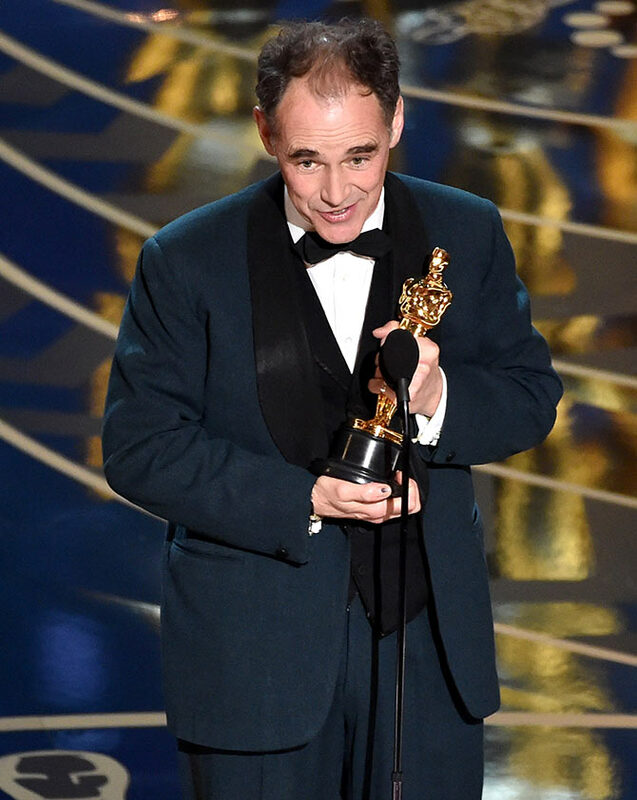 Sylvester Stallone lost out to Mark Rylance, and Spotlight grabbed the top award! But it had it's fair share of expected winners too. Click here to see the winners' list. Did the right ones win? Let us know in the message board below. But all the nominees came well prepared and the winners made interesting speeches on stage. Here's looking at some of the best speeches. 'Thank you, thank you all so very much. Thank you to the Academy, thank you to all of you in this room. I have to congratulate the other incredible nominees this year for their unbelievable performances. 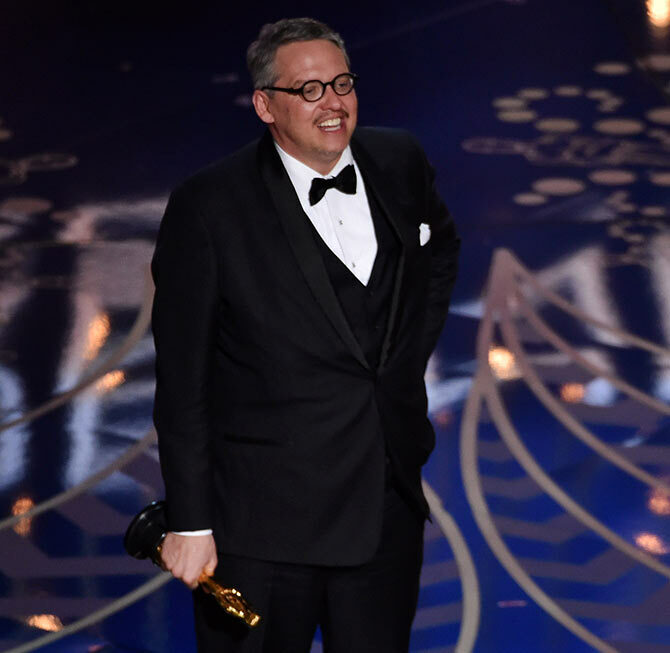 'The Revenant was a product of the tireless efforts of an unbelievable cast and crew I got to work alongside. 'First off to my brother in this endeavor, Mr Tom Hardy. Tom, your fierce talent on-screen can only be surpassed by your friendship off-screen. 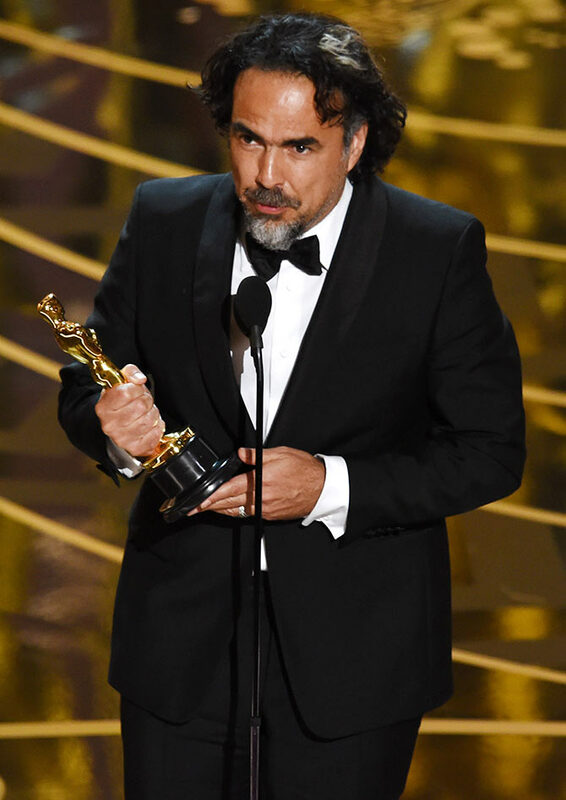 'To Mr Alejandro Iñárritu, as the history of cinema unfolds, you have forged your way into history these past two years. What an unbelievable talent you are. Thank you to you and Chivo for creating a transcendent cinematic experience for all of us. Thank you to everybody at Fox and New Regency, in particular Arnon Milchan. You were the champion of this endeavor. My entire team. 'I have to thank everyone from the very onset of my career. Mr Caton-Jones for casting me in my first film. Mr Scorsese for teaching me so much about the cinematic art form. To Mr Rick Yorn, thank you for helping me navigate my way through this industry. And to my parents, none of this would be possible without you. And to my friends, I love you dearly, you know who you are. 'And lastly, I just want to say this: Making The Revenant was about man's relationship to the natural world, a world that we collectively felt in 2015 as the hottest year in recorded history. Our production needed to move to the southern tip of this planet just to be able to find snow. 'Climate change is real. It is happening right now. It is the most urgent threat facing our entire species, and we need to work collectively together and stop procrastinating. 'We need to support leaders around the world who do not speak for the big polluters or the big corporations, but who speak for all of humanity, for the indigenous people of the world, for the billions and billions of underprivileged people who will be most affected by this, for our children's children, and for those people out there whose voices have been drowned out by the politics of greed. 'Thank you. Thank you first to the Academy. 'I want to start big because the thing that I love about moviemaking is how many people it takes to make it, so I want to start first with the Telluride Film Festival, the Toronto Film Festival, who gave us a chance, who gave us a platform first. I'd like to thank A24 for taking this movie into their hands and sharing it with the world. 'I'd like to thank our director, Lenny Abrahamson, who is absolutely incredible. Emma Donoghue, who created this world. Jacob Tremblay, my partner through this in every way possible. 'My real partner, Alex Greenwald, I love you the whole thing. To my parents, my agent, my manager, Chris Fioto, Anne Woodward, Lindsay Galin, the rest of my team, my friends, my family. 'Thank you to the Academy. I can't believe this is happening. 'It's amazing to receive this award tonight. But it's much more beautiful for me to share it with all the talented and crazy cast and colleagues and crew members along the continent that made this film possible. To all and each of you, I thank you from my heart. Leo, you are The Revenant. 'Thank you for every soul, your soul, your art, your life. Tom Hardy, all the Native American cast, all the English American cast, thank you very much for your trust, for your talent. I want to thank Chivo. Thank you for bringing the light to this journey. And I want to thank too, to Arnon Milchan. Thank you for your unconditional support. 'My producers, Mary Parent, Steve Golin, all the people in Fox and New Regency. 'I am very lucky to be here tonight, okay, but unfortunately, many others haven't had the same luck. There is a line in the film that says, Glass to his mixed-race son, "They don't listen to you, they just see the colour of your skin. 'I've always just adored stories, hearing them, seeing them, being in them, so for me to have the chance to work with, I think, one of the greatest storytellers of our time, Steven Spielberg, it's just been such an honour. 'And unlike some of the leaders we're being presented with these days, he leads with such love that he's surrounded by masters in every craft on his film, every craft, not the least, Mr Tom Hanks. 'People, I'm so pleased that our film has been nominated so many times, and as a face of the film, I meet many people in the streets and it's lovely to have them, they're always saying to me, 'would it help?' and all that stuff. 'And I think, if you ever wondered about acting with Tom Hanks, would it help. The answer's clearly yes. 'I want to just say thank you to my fellow nominees. I don't know how they separate my acting from your glorious acting in these wonderful films that you're in, which everyone must see. I don't know how they separated the five of us from all the other supporting actors who are making films at the moment. 'I actually can't breathe right now, oh my gosh. Thank you to this man here, Jimmy Napes. To all the nominees, you're incredible. Gaga, you're incredible. 'I read an article a few months ago by Sir Ian McKellen and he said that no openly gay man had ever won an Oscar, and if this is the case, even if it isn't the case, I want to dedicate this to the LGBT community all around the world. 'Thank you so much to the Academy. Also thank you to Michael Lewis for writing an amazing book that inspired Charles and I so much. 'Thank you to Paramount for taking a risk on a movie that's about financial esoterica and believing in it. 'Thank you to my beautiful wife, Shira Piven, there she is. And my children, Lili Rose, my two daughters, Lili Rose and Pearl, I love you so much. See ALL the Best Picture Oscar winners! Click here!